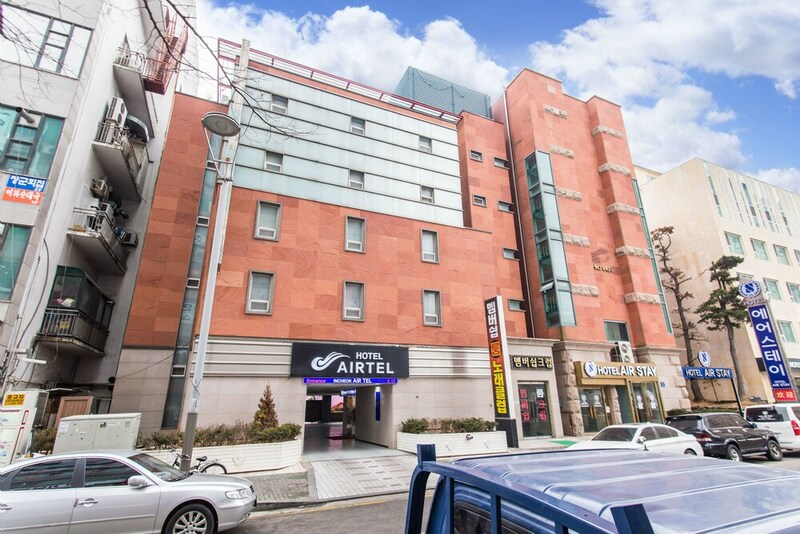 A restaurant, a coffee shop/café, and a 24-hour business center are available at this hotel. Free WiFi in public areas, free self parking, and a free airport shuttle are also provided. Other amenities include coffee/tea in a common area, laundry facilities, and a 24-hour front desk. All 44 rooms offer free WiFi and free wired Internet, plasma TVs with cable channels, and comforts like Select Comfort beds and premium bedding. Other amenities available to guests include refrigerators, free bottled water, and hair dryers. The hotel offers a restaurant and a coffee shop/café. Wired and wireless Internet access is complimentary. This 3-star property offers access to a 24-hour business center. A roundtrip airport shuttle is complimentary to guests (available on request). This Incheon hotel also offers multilingual staff, coffee/tea in a common area, and laundry facilities. Complimentary self parking is available on site. Incheon Airtel has designated areas for smoking. Airtel Restaurant - This restaurant serves breakfast and lunch. This property offers transfers from the airport. Guests must contact the property with arrival details on arrival, using the contact information on the booking confirmation. Only registered guests are allowed in the guestrooms.